"Logan has been fully engaged and present with me, guiding me to a positive, empowering way of Being regardless of difficulties, challenges or chaos in my life. I have been able to stay on track with living from my Essence. After 3 months of her coaching, I was able to reach 250% more than my personal best in business. I have more confidence. Yes, I have no hesitation to dream BIG! It is possible! Thank you so very much, Coach!" – Akiko Y.J. "For a while, I had been feeling out of control in my life, both professionally and personally. In need of direction, I started working with Logan. I would recommend to anyone looking to peel back the layers that life has added, covering the authentic being, to work with Logan. She is the absolute definition of a "coach," guiding me to create my own conclusions. Logan is masterful at drawing the real reality out from my life's layers and allowing me to determine my own course. You will not regret your investment in yourself when you work with Logan Reed." 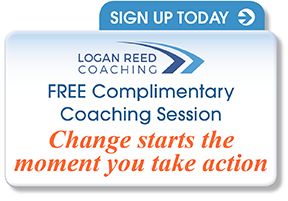 – Tish C.
"I came to work with Logan when I felt stalled with my business and uncertain about what to do next. I thought I was out of options and was not very hopeful about the future, but Logan was immediately able to channel my energy into a positive process that became both exciting and doable. With clearcut goals and a plan Logan helped me bring what I wanted into focus and to realize that I was actually much closer to it than I'd realized. With her help I was able to reach some goals I'd previously considered well out of my reach, and to really see the full potential of my business - and myself." – Anna M.
Has personal or professional coaching changed your life? Take a moment and share your experience. If so, tell us how you would like your name to appear.